UBC Physics and Astronomy is involved in a broad range of medical physics research in the areas of radiation therapy, medical imaging, biomedical optics and radiation biophysics. The ultimate aim of our research in radiation therapy at the Radiation Biology Unit at the BC Cancer Agency is to provide more accurate and effective cancer therapies. Current research on existing techniques include aspects of Intensity Modulated Radiation Therapy (IMRT), stereotactic radiosurgery and permanent seed implant of the prostate. The group is also using film, polyacrylamide gels and amorphous silicon imagers to explore improvements in the accuracy of radiation dose measurements. Finally, Monte Carlo Simulation techniques are being applied to develop more accurate dose calculations. Members of the department are actively researching a variety of medical imaging techniques. 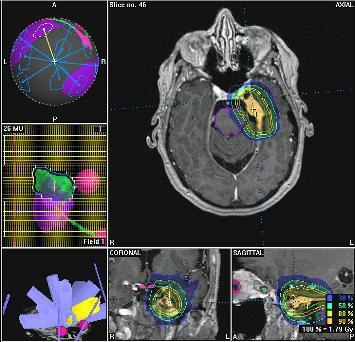 Four groups work in Magnetic Resonance Imaging. 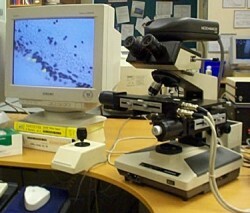 They investigate MR contrast mechanisms, develop; advanced MR techniques and carry out clinically applied MR research studies. MRI research is facilitated by having access to state of the art MRI scanners at UBC MRI Research Centre. Our Nuclear Medicine Imaging group is pursuing research in quantitative SPECT imaging and dynamic SPECT. 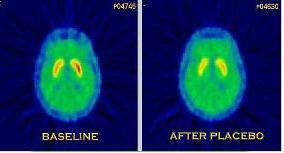 The Positron Emission Tomography (PET) research group work on technique development with a clinical focus on neurodegeneration. The cancer imaging group at the BC Cancer Research Centre exploits the interaction of light at both the micro- and macro-scopic level to detect, delineate, grade and treat early (predominantly pre-invasive) cancers. The group is currently focused on early cancer management issues in the Lung, Cervix, Prostate, Breast and Skin. Research in the radiation biophysics laboratory at the BC Cancer Agency is focused on improving radiation and drug treatment of solid tumours and also includes studies into the biology and vasculature of solid tumours as well as methods of treating tumours and predicting their response to treatment.